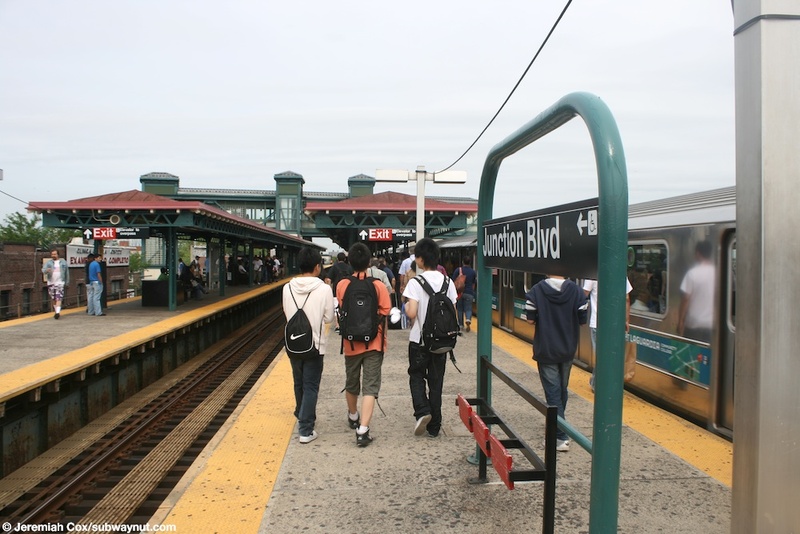 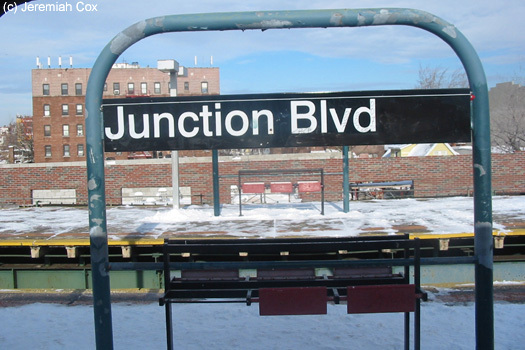 Junction Blvd is an express station on the Flushing Line with two island platforms for the three tracks; with express trains opening their doors only in whatever direction trains are operating. 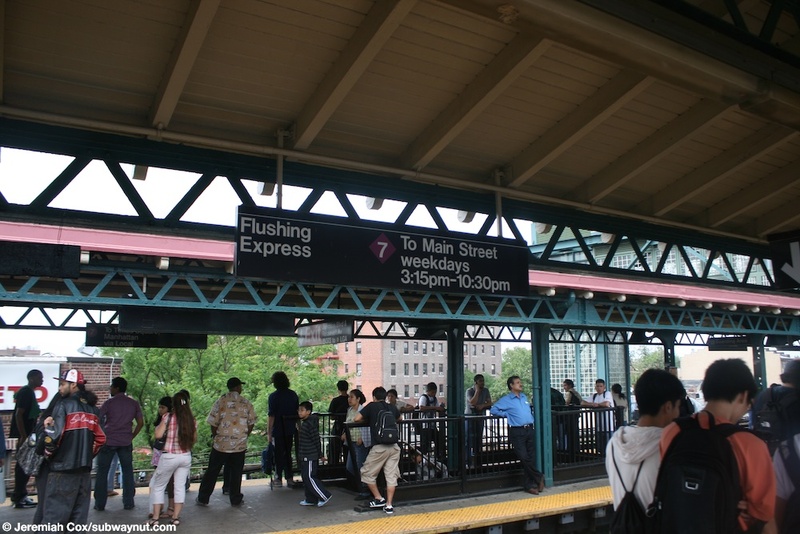 The stop has the standard layout of a single exit in the middle of the platforms where they are canopied before they become narrower and exposed at their ends. 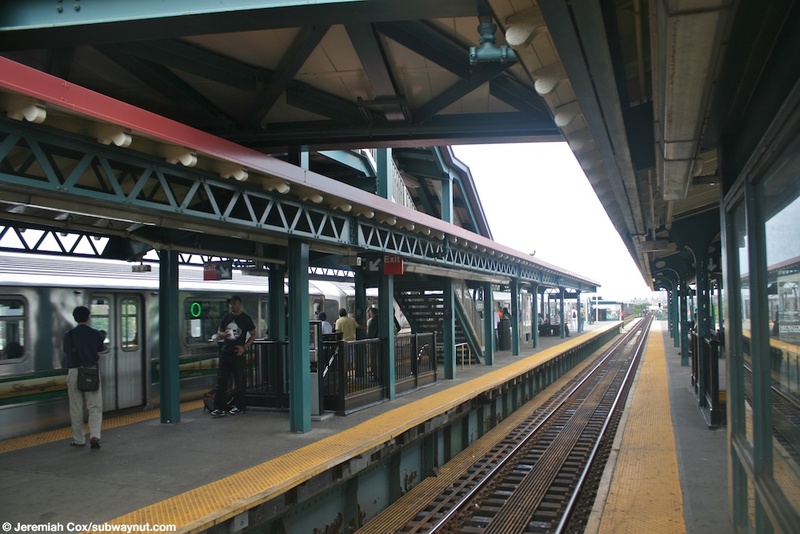 Two staircases lead down from each platform to a crowded mezzanine beneath the tracks with split banks of turnstiles for each set of staircases down from the platforms, still while providing a free crossunder. 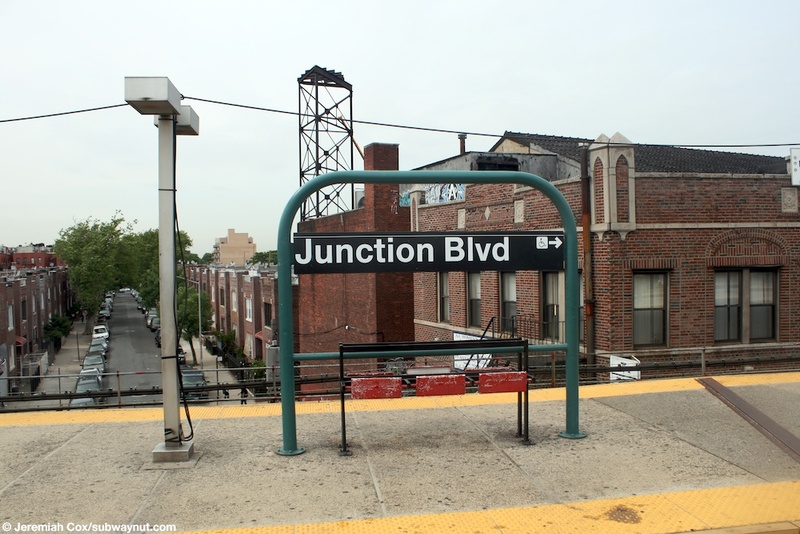 This mezzanine leads out to street stairs to all four corners of Junction Blvd and Roosevelt Avenue. 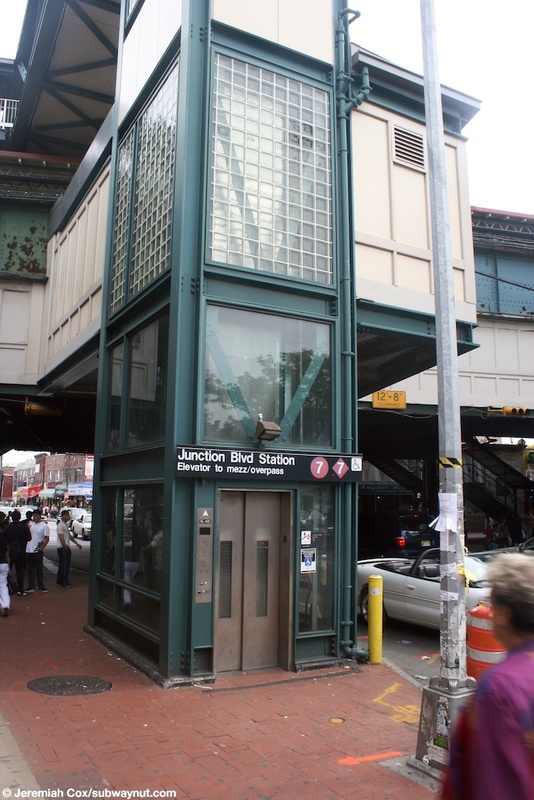 The stop has an additional mode of access specifically for only ADA elevator access. 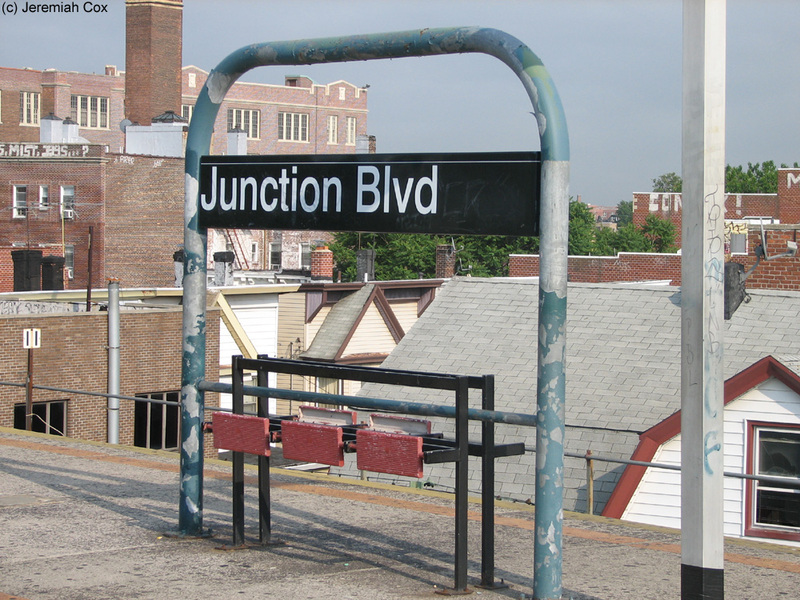 It was built in the mid 2000s. 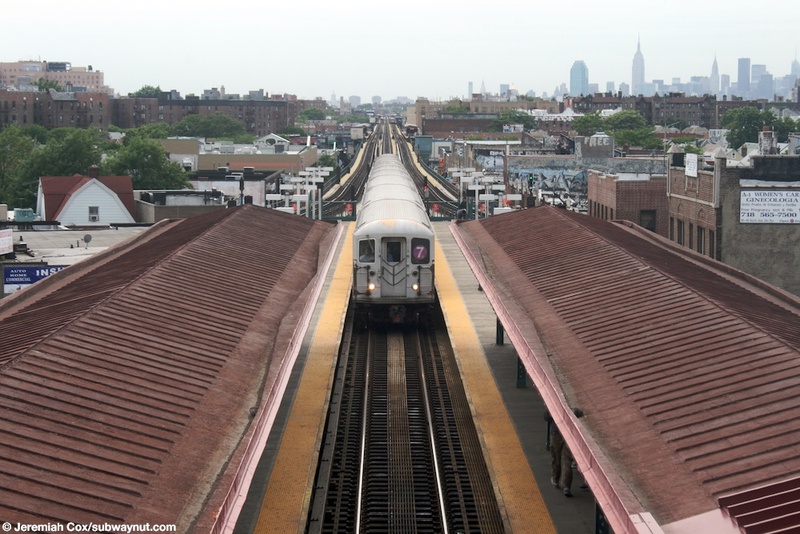 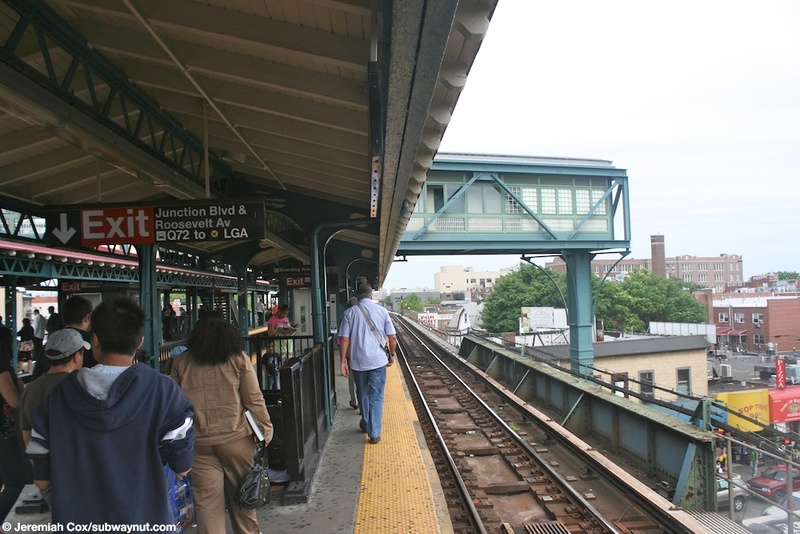 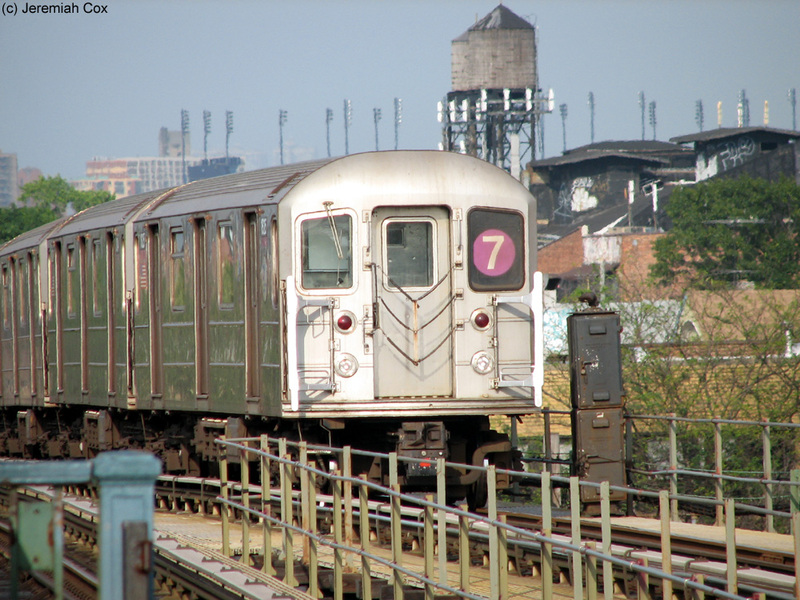 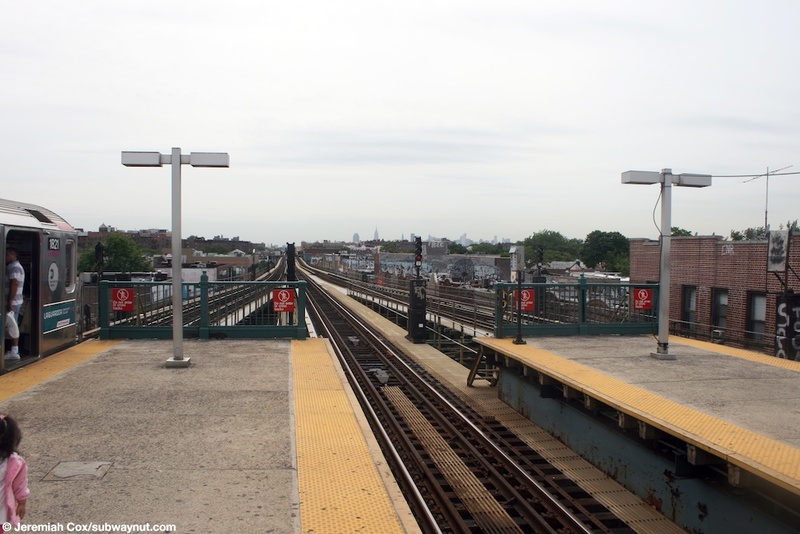 It consists of an overpass that begins with an elevator shaft up from the SE corner of the intersection, to a midway landing at the mezzanine area (which provides an ADA way to buy a MetroCard but not access any of the platforms), and an upper landing at an overpass to the platforms. 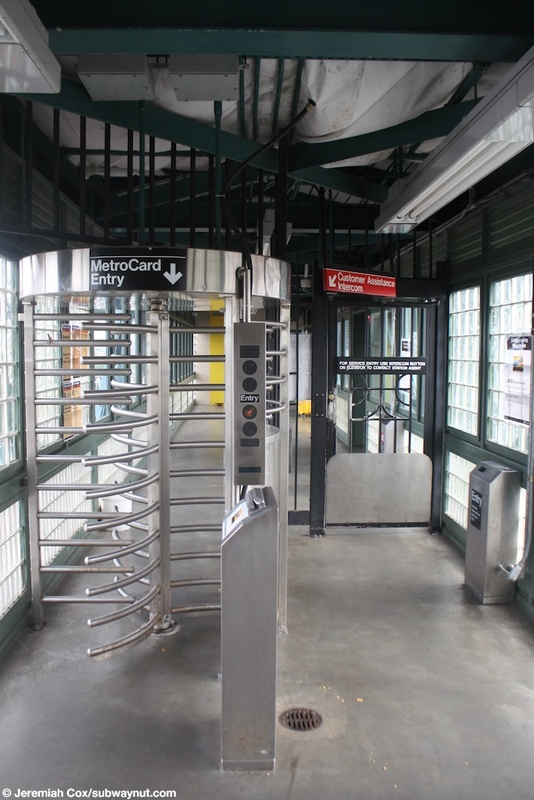 On the upper landing there is a High Turnstile and a gate that requires (except for the extremely few passengers with AutoGate MetroCards, I've yet to see someone actually use one) calling the station agent via intercom to get in or out of the station with anything that does not fit through the high Turnstile (like strollers, a reason you'd use the elevators). 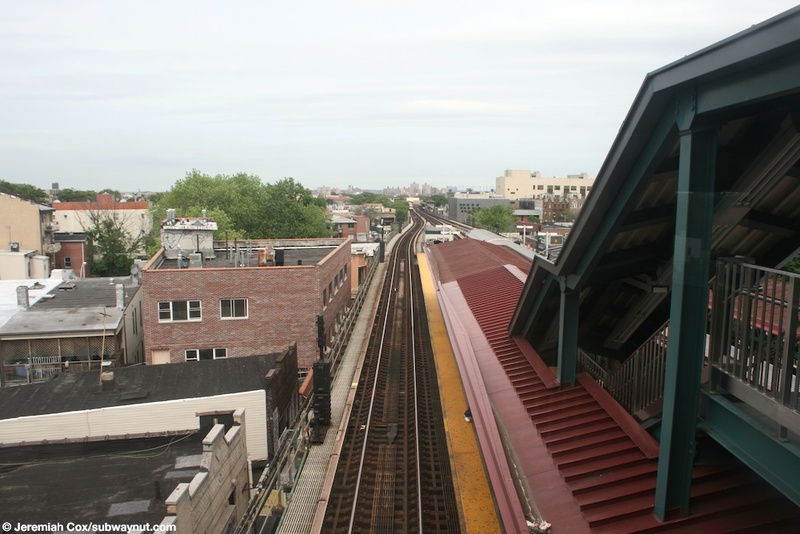 This glassed enclosed overpass provides a nice view above the platforms, leads to an elevator down to each platform along with an emergency exit door that blocks the emergency staircase (and only way to leave the overpass without using an elevator) down to the Manhattan-bound platform. 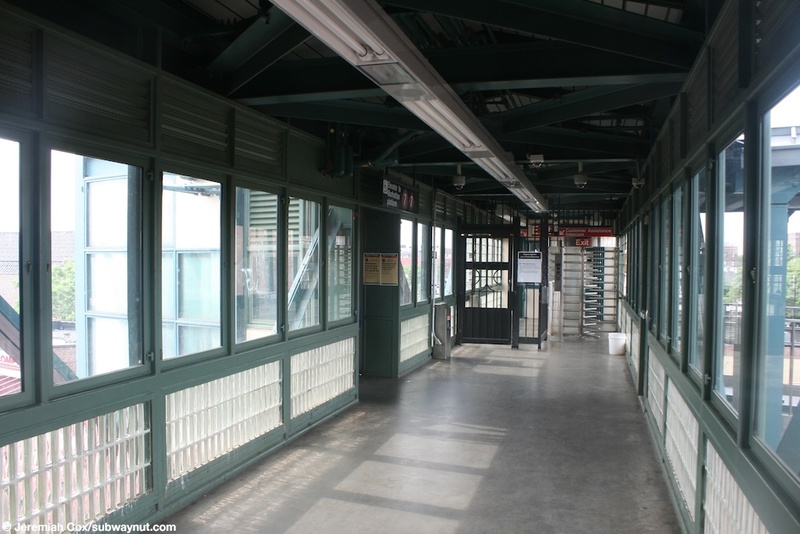 These elevators are between the staircases down to the main station house. 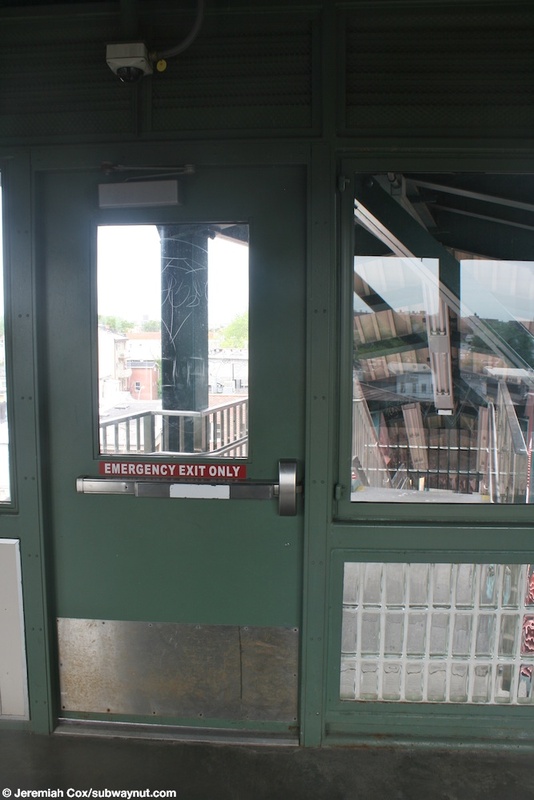 At the opposite end of the overpass beyond the elevator down to the Flushing-bound platform is a locked door that leads to a non-public room at the other end of the overpass. 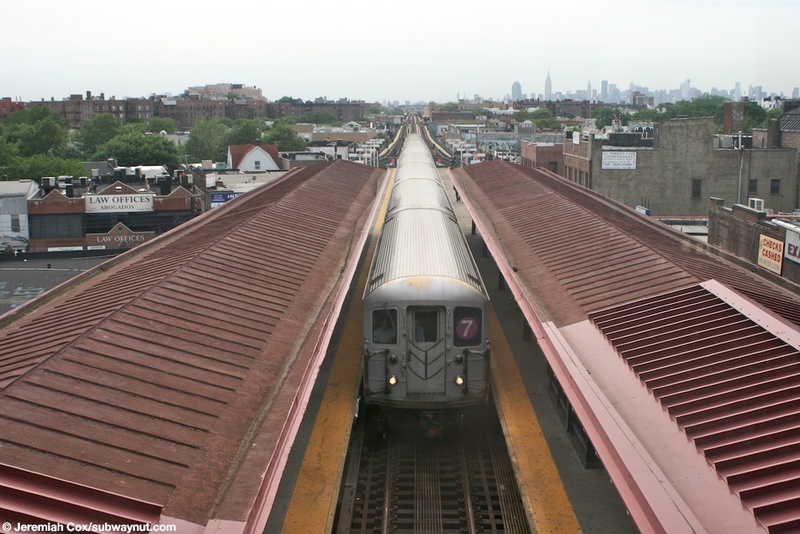 This room primarily exists because the overpass continues to a beam on the street side of the Flushing-bound local track which holds up the overpass from the street.